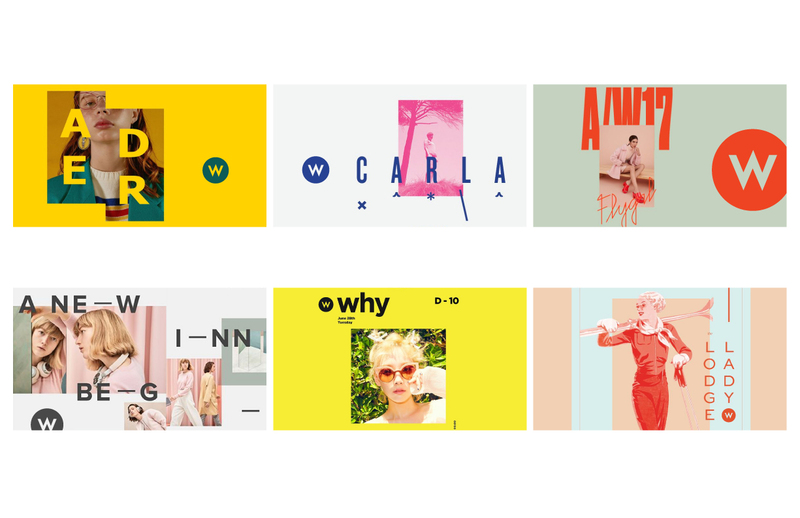 A new look for W fall promo in 2018. 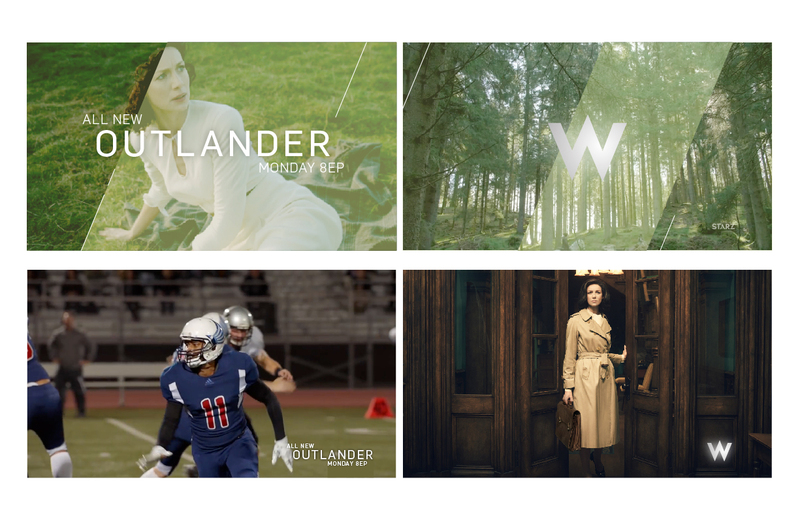 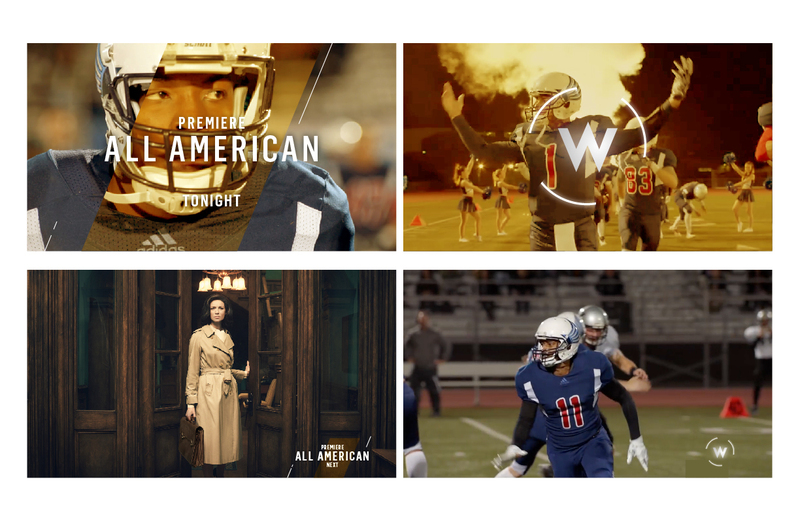 W has three new top promotable shows – All American, Charmed and new season of Outlander. 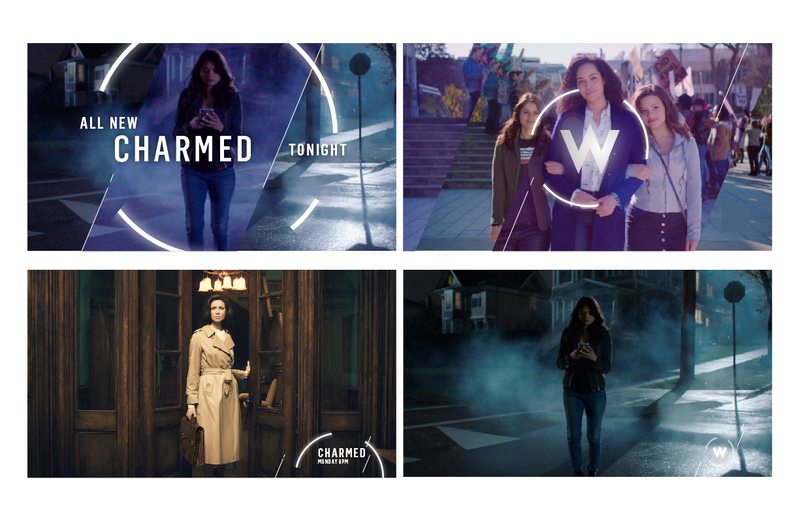 My team had to tie three different genres of shows into one promo video, so we developed a whole new look that doesn’t go too far from the existing branding but also has a new twist. 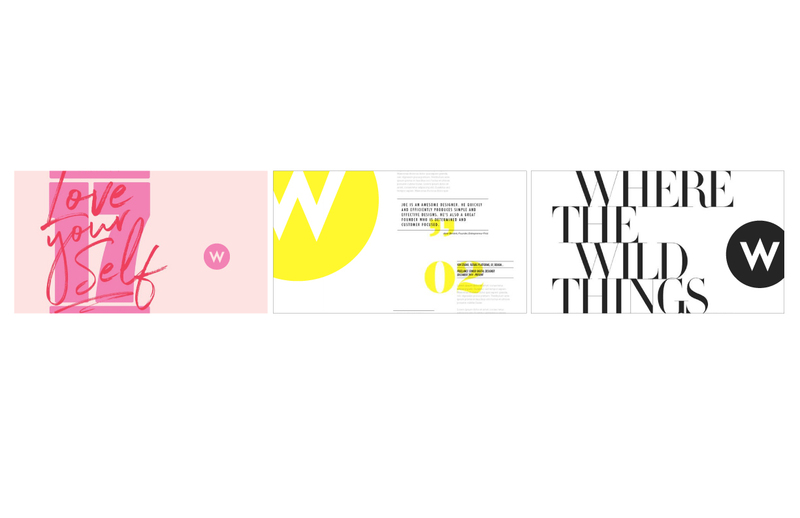 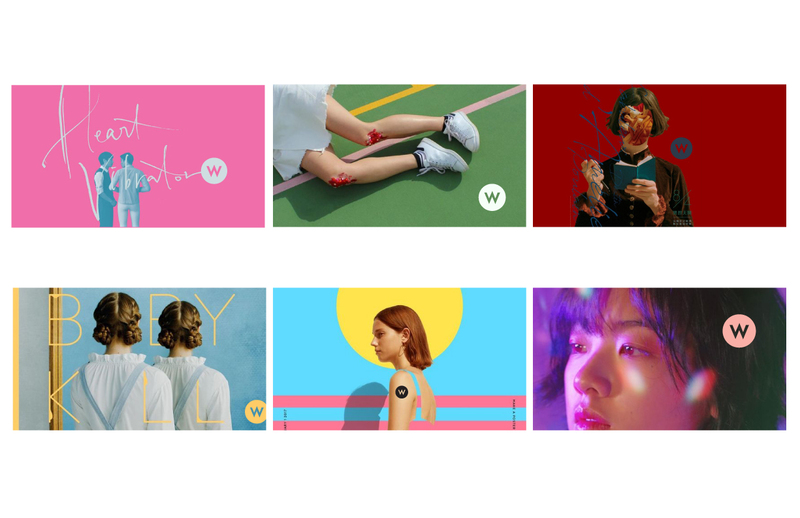 Since we were aiming to develop a new look different from the existing W branding, I went through rough mockups of W logo with different looks. 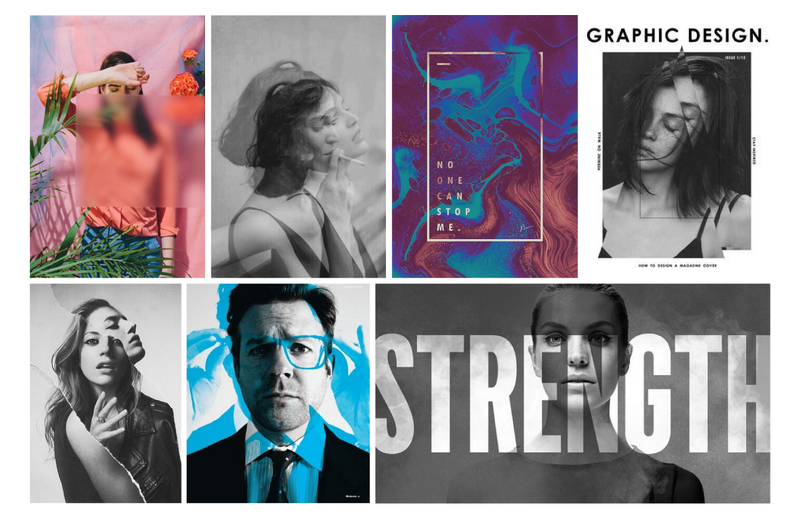 We continued on exploring different looks, collecting different references on distorted styles. 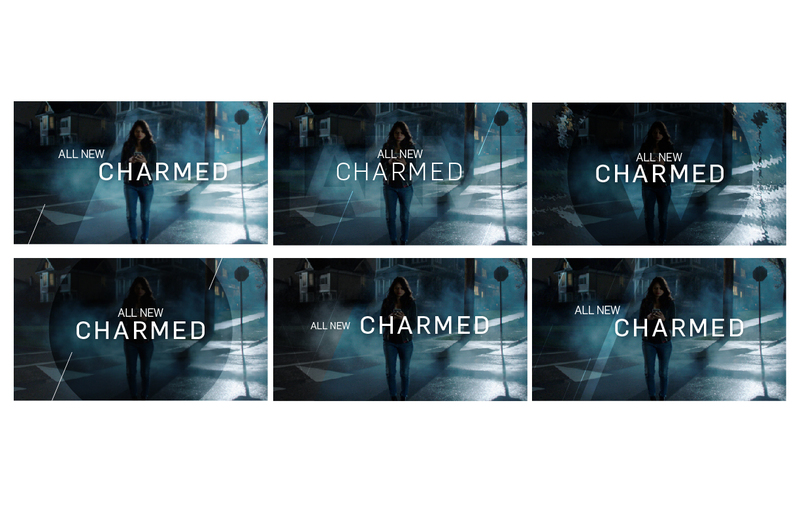 After locking on a look with white lights and coloured backgrounds, I continued on creating mockups with show titles and colour themes with diagonal lines – which are basically W logo dissected. 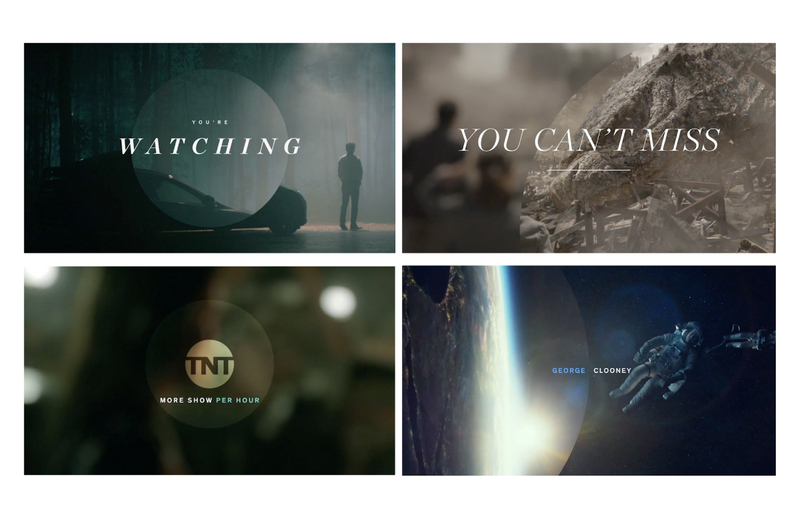 Each show has its own typeface style and colour theme that well represents the atmosphere.